Narcissists are only concerned with themselves. They are egotistical and self-absorbed. They manipulate situations and people to their benefit. Be wary of anything that comes from them, because ultimately it’s about the grandiose perception. We all know someone who is egotistical and selfish. But, what can you expect from them with these sorts of behavior? 1. NEVER EXPECT EMPATHY AND COMPASSION. Unless you are going to be giving them something in return, don’t expect sympathy. The narcissist is incapable of compassion because it would require them to get out of their own needs. It’s all about “what can I get from you?” If something doesn’t concern them, they have little interest. Your mother could be in the hospital and if you ask them for help, they will avoid you unless they can get something for helping. And, if they are empathetic, it will be for showing others what they did. They are missing an empathy and compassion gene. Most narcissists lack self-insight. In their own lack of worth, they dispose their destructive behavior onto others. 2. NEVER EXPECT THEM TO LISTEN. Narcissists are not great at listening to anyone’s problems. They will listen when they need something from you, utilizing your weaknesses or traumas to get what they want. These folks are not the ones you go to in order to vent. They will hear you but never pay attention. If the conversation is not about them, then they have no use for your words. And even then, they will only hear what pertains to their greatness. 3. NEVER EXPECT ANYTHING FOR FREE. When a narcissist does you a favor, he/she will reclaim it quickly. They keep tally on all that they do for others. Unless they can get something out of you, don’t expect them to do it out of the kindness of their hearts. If it doesn’t benefit them, there is no point in doing anything for you. Don’t expect generosity without signing your soul to the devil. The narcissist will lie and cheat to get what they desire for their own benefit. So, if they are doing something for you, expect that it’s all about them. 4. NEVER EXPECT AN APOLOGY. A narcissist does no wrong. If something goes wrong, it wasn’t their fault. They have no problem turning that against you. You can’t expect them to feel sorry for anything because they are perfect. Any misunderstandings are all on you. They couldn’t possibly have done anything to upset you. Narcissistic people are bullies, and they have no problem turning things around to hurt others rather than take responsibility for their actions. The narcissist is self-righteous. They are entitled and deserving of anything, therefore, they are never in the wrong. Narcissists cannot give of themselves for the sake of giving without expecting recognition, admiration and appreciation. They are manipulators of time and effort. They bulldoze through people and their emotional needs for their benefit. Perhaps the most frustrating thing about narcissistic personality disorder is that it’s difficult to treat with therapy, as clients are unwilling to see they have an issue. In relationships of any kind, it’s even more difficult to acknowledge since the narcissist doesn’t see a problem with themselves. 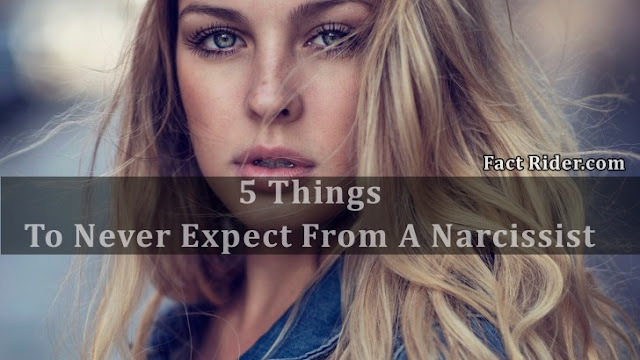 The best way to deal with a narcissist is to have no expectations.